Islamic treatment wazifa to control hair fall problem, wazifa to get long hair & dua for long hair,islamic cure for hair loss. Girte balon ka ilaj aur baal lambe karne ka tareeqa. 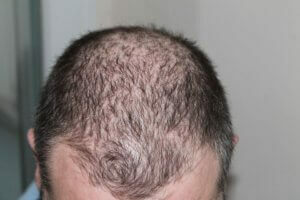 Hair loss, also known as alopecia or baldness, refers to loss of hair from part of the head or body. Typically at least the head is involved. 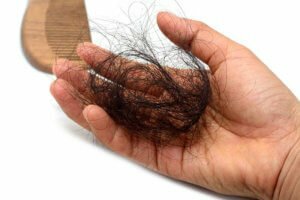 The severity of hair loss can vary from a small area to the entire body Typically inflammation or scarring is not present.Hair loss in some people causes psychological distress. Common types include: male-pattern hair loss, female-pattern hair loss, alopecia areata, and a thinning of hair known as telogen effluvium. 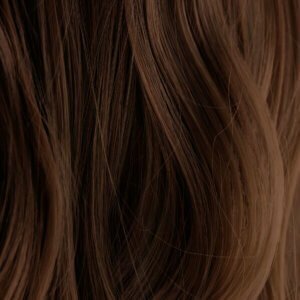 The cause of male-pattern hair loss is a combination of genetics and male hormones, the cause of female pattern hair loss is unclear, the cause of alopecia areata is autoimmune, and the cause of is telogen effluvium is typically a physically or psychologically stressful event. Find out the reason for it. If it is happening due to some diseases get the right medicine for it. Keep your hair clean. Wash it at-least twice a week. Choose the hair products carefully. Oil and comb your hair regularly. It is sunnah to keep the hair clean by washing, oiling & combing it. So keep this intention while performing these acts. Avoid chemical treatments on your hair. Do not colour your hair and do not use iron or drier on them. These things lead to hair loss. Natural & home made remedies can be helpful in stimulating hair growth. Performing quranic prayers and dua for hair growth will reduce the stress and help in re-growth of hair. Don’t take hair growth supplements without consulting a doctor as they usually have side-effects. Read the surah lail for 7 times. Blow it on coconut oil. Olive oil is one of the prophetic medicines that can cure many diseases. It has numerous benefits. In-fact there is a chapter “The fig”( Surah At-teen) in the Holy Quran where it is mentioned regarding olive. 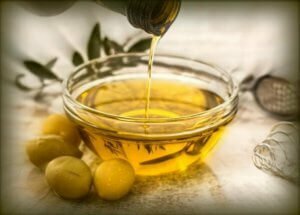 The method of acquiring islamic cure for hair loss by olive oil treatment is described below. Read Surah Teen 21 times along with Durood 3 times before & after. Apply this oil all over hair. Keep it for at-least 2 hours. Recite this verse 121 times along with Durood once before & after. Blow it on a mixture of olive oil & coconut oil. By doing this continuosly for 21 days you will get cure In sha Allah. 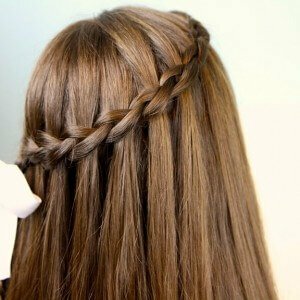 Which woman does not like to have long and thick hair? Obviously every lady desires to have good looking long hair. Here we are suggesting you another powerful wazifa to get long hair. The method of performing the dua for long hair is explained below. Take 40 mL of almond oil, 40 ml of coconut oil, 10 ml of castor oil, 5ml of lavender oil,5ml of olive oil. Mix all of them to prepare a blend of oil. Then read Durood-e-Shareef 11 times. Recite the above mentioned name of Allah 1000 times. Make dua for longer hair. Apply it on your head and massage it gently before sleeping. Take bath in the morning. Perform this atleast thrice a week. Females should not do read Quranic verses during their mensus/periods. Is aayat ko 121 martaba padhkar teil par dum karein aur is teil ko apne sar mein lagayein. Is amal ko musalsal 21 roz tak karne se baal jhadna kam hojayenge aur baal lambe bhi hojayenge. Khwateen makhsoos ayyam mein Qurani aayat na padhein. Wazife ko wuzu ki halat mein paak saaf jagah par baithkar padhein. Aur wazife/dua ka mazaq na udhayein warna nuqsan hoga. So the same goes for a woman when she has her period and the 21 days interrupted, she should complete this after she finishes her period? Yes complete it after periods. what if miss a few days of oiling? Aap yeh wazifa karlein jo Treatment for hair fall post me likha huwa hai.